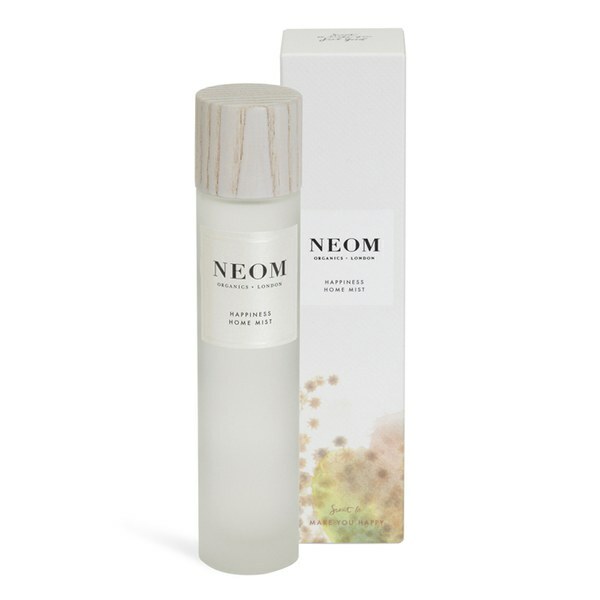 Infuse a luxurious fragrance into your abode with the Happiness™ Home Mist from NEOM Organics. Expertly blended with seven stimulating and rejuvenating oils, including white neroli, mimosa and lemon, combined with fresh grass notes to create a therapeutic fragrance that inspires a positive mind. Spray onto curtains, cushions and bed linen to release a cloud of pure tranquillity into the air for hours. E.N. To create a cloud of mood boosting happiness at any time, spritz a cushion or fabric behind your head with the Mood Lifting Home Mist. Breathe in through your nose for 7 seconds and out through your mouth slowly for 11 seconds. Repeat as often as required.